The Costa Blanca is one of the most beautiful areas of Spain. It has a fantastic climate, with an average of over 3,000 hours of sunshine every year and has some of the best beaches in the Mediterranean. Many of the beaches have been awarded the European Standard ‘Blue Flag’ and are of fine sand, with clear blue waters. The gentle sloping beaches are ideal for swimming, diving and water sports and offer fun and relaxation for all the family. The people of the region are friendly and hospitable, inviting you to take part in many of the traditions which have been passed down through generations. There are many colourful fiestas held throughout the year, which offer an unforgettable experience and allow you to fully embrace the wonderful way of life on the Costa Blanca. The gastronomy of the area is of excellent quality, the main focus is on rice dishes, such as traditional paella and of course a great variety of fresh seafood. With many small local bars and restaurants offering from the famous ‘tapas’ to ‘A la Carte’ menus, it can be very difficult to choose. We are confident that you will enjoy the way of life on the Costa Blanca as much as the thousands of people who have already chosen to make this their permanent or holiday home. The Costa Blanca generally offers lower priced properties than the Costa del Sol. This is due to the weather and infrastructure in place. 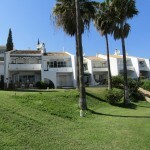 There are still high quality properties and the Costa Blanca has seen substantial growth over the last couple of years.